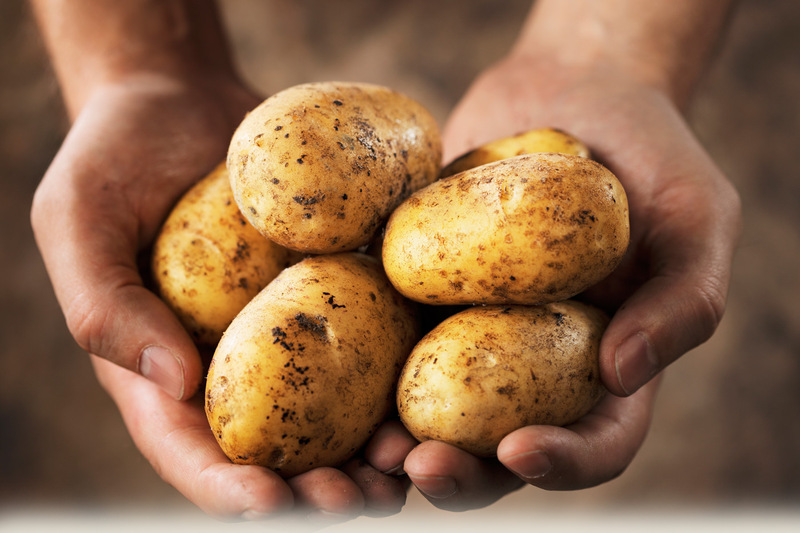 Gluten free: what’s with all the potato? Am I jumping on a fad? No. And I’d be really late to the party if I was. But let me give some context. Since the age of about 14, I’ve had monthly episodes of IBS. Relatively mild and manageable. Well, ok, it was disruptive and painful but I put up with it. It was manageable until I had my eldest, F. During my emergency c section I got a lovely bonus gift of endometriosis. Of which a side effect and symptom is IBS. So my IBS spiralled and grew and got so bad that I had pain and discomfort everyday, all day. And like any health conscious, aware, parent of a sick kid, I went and got it checked out straight away. As soon as it became unbearable. Not a moment later. But there isn’t a cure for IBS. And whatever the original cause, the best way to help reduce symptoms is to change your diet. So I took on board my doctors advice to eat crudites (yes, that is really all he said). I started googling IBS and even joined and IBS support group. Wow! those people really suffer! Their stories scared me away. I knew I needed to make a big change and I needed the head space for it too. So as a health conscious, aware, parent of a sick kid, about 2 years later I got there. I needed to eliminate foods from my diet. So last October I started the FODMAP diet. My understanding of it is this: basically you are avoiding foods with excess dietary sugars that can ferment in the gut and cause bloating, cramps, a spastic colon, inflammation ……. It took me a long time to get my head around it: give up certain foods, possibly for life. For the sake of my health. It should have been a no brainer. Don’t eat that, feel good. It seems like a small change but it’s massive. It affects the whole family, how we do the shopping, how many meals I need to cook each day. And I’m not even going to mention going out to eat. And I can’t remember all the foods I should avoid so I use this app. But that’s for another post. This post is about gluten free food and the surprising amount of potato. Wheat is a big NO NO for IBS. So I had cut that out. And I found an alternative, Spelt. It’s a relative of wheat and hasn’t been genetically modified the way wheat has been. I was eating limited amounts of spelt bread and doing ok with it. But my nutritionist asked me to go gluten free for 3 weeks. Why? Because although I may not notice any problems with spelt, the gluten in it could still be doing damage to my irritated and inflamed gut. So I did it. And I felt great. Really good. A real uplift in my mental health too. Then I had some wheat and spelt. And it hurt. A lot. So, I decided to check out the gluten free offerings. I love rice, LOVE IT. But sometimes you just want some toast. I was missing “bread” type foods. And that’s when I found the potato conspiracy. It’s in EVERYTHING. Those crackers look so good. A mix of potato, rice and a million other things. It looks good. But don’t be fooled. They are solid stodge. Heavy and with this really weird texture that makes me think of potato dust. When I was a kid I worked in my parents corner shop and bagged potatoes. Took potatoes from a massive sack and bagged them up into 5lb bags. I loved that task but my nose would fill with that potato smell of good potatoes with a coating of mud – they stay fresher for longer that way. But I don’t want to eat potato dust. And the bread. Oh it looked so promising. And although it felt dense, I didn’t mind. I like slightly dense bread. It’s like you can feel the wholesomeness of it. All those whole grains. And…. potato dust. Heavy. No crunch. The texture is just awful. It’s a bait and switch. It’s like they put all the effort into making it look right and forgot all about the taste and texture. So I’ll just have to content myself with rice crackers and give my gut time to heal. I know this is going to take months, possibly more than a year. And then maybe I’ll be able to have spelt. So for all those coeliacs out there, like my sister S and fellow blogger C, I’m starting to get what life is like for you. Gluten is everywhere. Like those damn potatoes. Categories: care giver burn out, carer, chronic illness, Mental health | Tags: endometriosis, FODMAP diet, gluten free, gut health, IBS, Irritable bowel syndrome, leaky gut, wheat is in everything, wheat substitue | Permalink.